I did not test a Luminus led before. The SST-40 is new, cheap for a Luminus led and has the XM-footprint so a DTP copper board for it is readily available. The specifications are also very similar to a XM-L2 led, but it is always the question what will happen when we go out of specs! The led that is tested was bought from Kaidomain, the output bin is N4, which is not the highest bin listed, the tint bin is BA which is just above 6500K. The test was done like all my more recent emitter tests. I described it in detail in my XP-L test. , with two minor differences that should not matter significantly for the results: I used my Integrating sphere no. II instead of no. I, and for the current I used a clamp meter, which appears to measure 0.1A lower than the power supply current-reading that I used before. In summary: 1) just one led was tested, reflowed on a DTP copper board (XM-KDlight 16mm), 2) I used my large version II integrating sphere with high quality luxmeter, 3) the output numbers and voltages were measured with the led close to 'steady state' for each current, so warmed up and settled, you should be able to get these numbers in a well heatsinked flashlight. Mind that these are output numbers of the bare led, in a flashlight there will be losses from light obstructions, lens and optic, 4) output is in 'djozz-lumen' defined as 1/550 of the output of my Sunwayman D40A on high setting, which I hope is close to the real lumen, but at least is consistent over all my emitter tests done in integrating spheres. 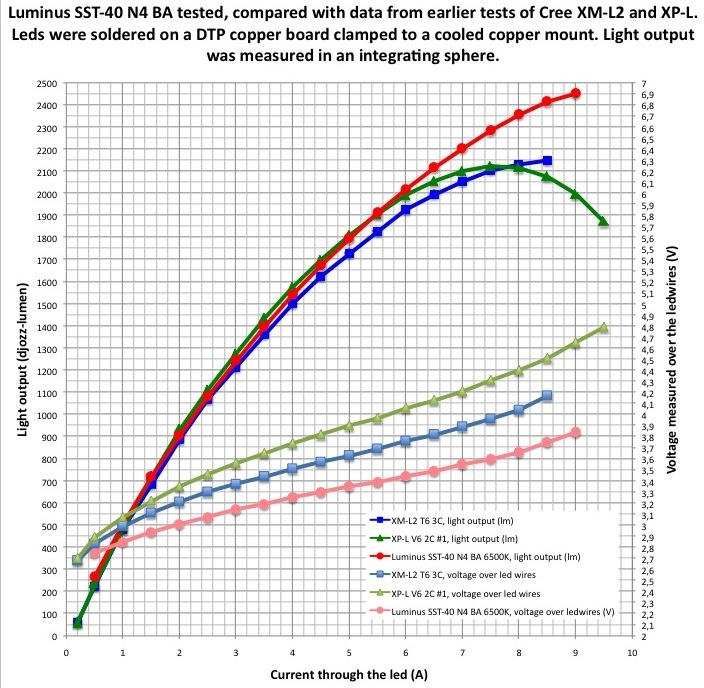 *the output of the SST-40 does very well compared to the XM-L2 and XP-L. None of these 3 leds tested were the highest output bin so up to 6A it may well be a photo-finish, but above that the SST-40 seems the winner. *the voltage of the SST-40 is way lower than both the XP-L and XM-L2, this means that at a given current it is more efficient at same output, and that you will more easily drive it hard in a single li-ion flashlight. The SST-40 is cheap, can be used wherever you use an XM-L2, and performs better with both a lower voltage and higher output. This is a fine new led! Only drawback that I see is that although it does come in various colour temperatures and tint bins, it is all 70CRI. I had a Lucky-Sun D80 (BLF-edition) spare and put the dedomed led in there, with a BLF-A6 driver, tail-spring bypassed. And it performs! On a 30Q battery 7.5A from the clamp meter with tail off, 1626 lumen out the front (tail on). 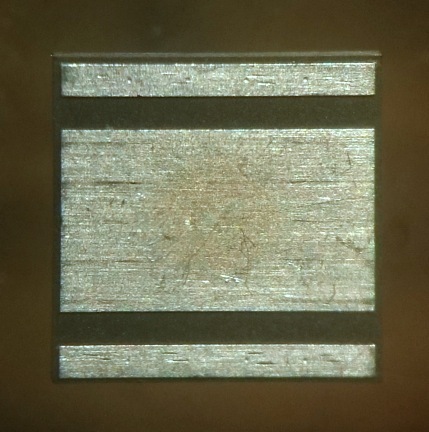 Pretty good for a dedomed single die XM-size led! The dedomed tint is really good, less yellow than most dedomed Cree's. Just the throw could be a bit better, I measured 103 kcd at 30 seconds on a 30Q. I'm curious about throw numbers of properly dedomed SST-40 leds. Clear why Olight is using these. Great results, thanks! I’m not familiar with the D80; what do other dedomed emitters do in this host? Very nice! I've been wondering about this one for a while. Very nice! I’ve been wondering about this one for a while. 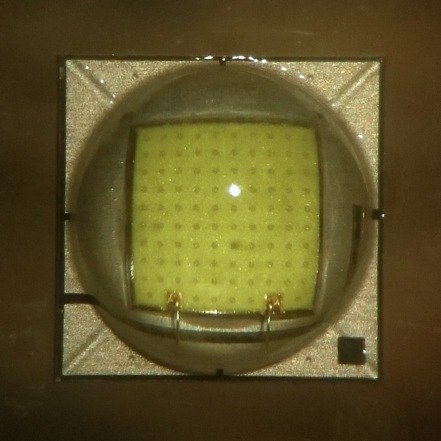 I’m a bit reluctant testing 365nm leds because I think my method is not good enough. But where do I buy those SST-10 UV leds? 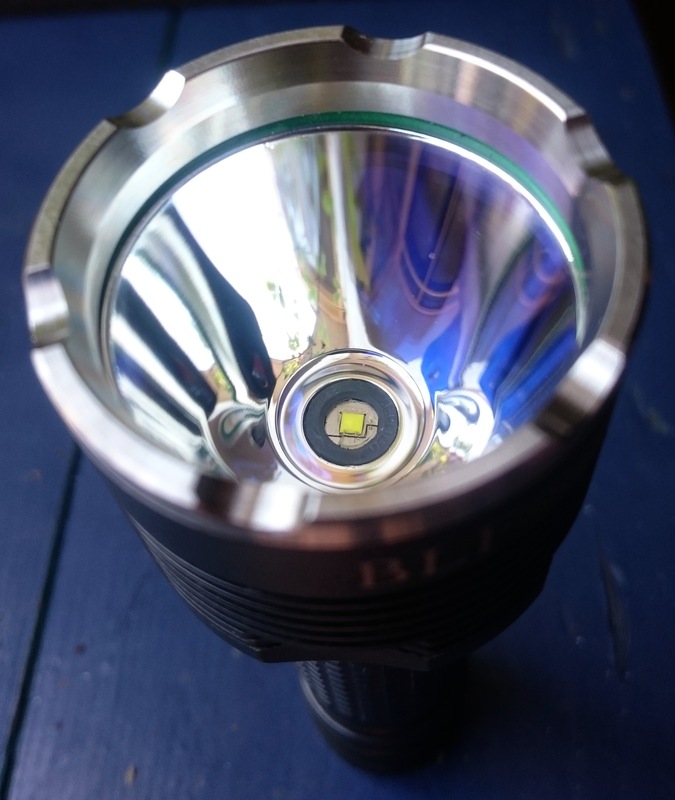 My other BLF-D80 has its stock XM-L2 dedomed and the same driver, it does 95 kcd. But it is an unknown bin, I can imagine that others have had better results with high binned dedomed XM-L2 and XP-L. Anyone? Thanks for the test mate. We may see these being used around here very soon. I’ll buy some soon should make a good pocket rocket flooder. djozz, could you please add a table with individual measurements (preferably with power consumption and efficacy) to the chart? I could add the numbers but it will suggest an accuracy that is not there. My djozz-lumen was never properly calibrated so it is mostly useful when comparing it with my own measurements of other leds, and that is best visioned in a chart like above. Thanks for the test djozz. More invaluable info. Hmm? I would have though there would be better throw based on the output you have measured. More light that a dedomed xml2 from the same die size would make me think more lux. Maybe the phosphor isn’t as smooth and scatters light a bit more to the sides? Could be, I’m waiting for the dedome experts to do a clean dedome, should be possible. 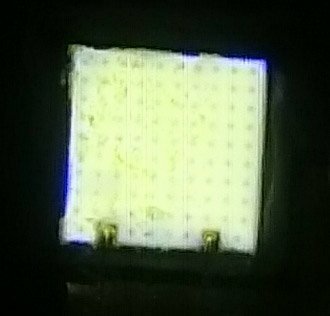 In my led there are bits of silicone still present on the die. Luminous efficacy would be nice, but can be derived from the chart if you extract the numbers. This parameter for flashlight use is a bit less relevant than you may expect though, many types of regulated drivers burn off ‘overvoltage’ which makes the efficiency of the flashlight a lot less related to the efficiency of the led. Yes, I know what can be derived. It’s just that reading data from the chart only increases the error. But very valuable review to anyone on this planet. What is the diameter of the large opening of that reflector? Based on djozz’s measurements here, the D80 should do about 25% higher in candela than the X6 reflector, which is consistent with the ratio of their areas. A dedomed XPL V6 1A will do around 95Kcd in an X6, with the stock X6 AR lens. So it looks like the SST-40 falls short of the current best emitter for good output and throw (IMO), even with the higher current of the SST-40. But we will await additional results. 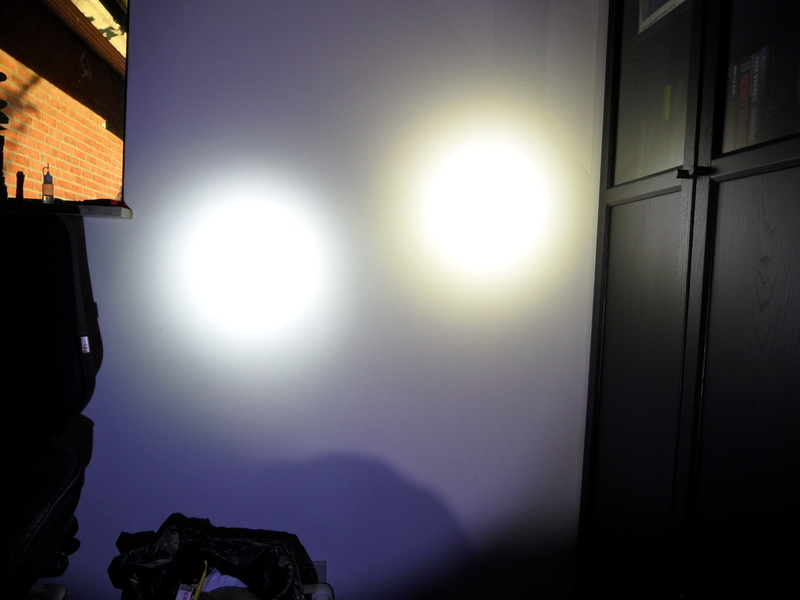 It is still a plan to test many more reflectors. I'm a bit reluctant testing 365nm leds because I think my method is not good enough. But where do I buy those SST-10 UV leds? The great thing about your method is you have the data you gathered from the others to compare these too. I need to figure out what light to put this in. Hopefully KD stocks better tints and bins soon. Thanks for another very informative test. Interesting that this sst-40 is the same size and thermal resistance as an xml2 but the maximum rated current is 5 amp instead of 3. I think it’s great emitter, I just hope it will be available in more neutral tints. I found a seller on Aliexpress selling them for $1.69 I have ordered some so I can practice my de-doming skills. If anyone has seen the N5 or P2 bin listed, I’m keen to grab a few. Thanks for the test. I like what i see!!!! So the Q8 with VTC6, mod ledboard and SST-40 P2 Bin will draw something about ~30A. Maybe even more. The low Vf is really nice! The low CRI is not so. But i am curious how much output the Q8 would get with the P2 Bin SST-40? 8000+lumen? Aside from the low CRI how does the light look? Is the beam ringy with color artifacts like the newer crew emitters, or is it fairly consistent? I’m sorry to say I don’t know, I had 2 emitters, one died in the test, the second was dedomed. The dedomed tint is towards a bit yellow, but a good tint, a quite uniform hotspot with a very thin blue-ish edge around it. Nothing of the problems of the new Crees. 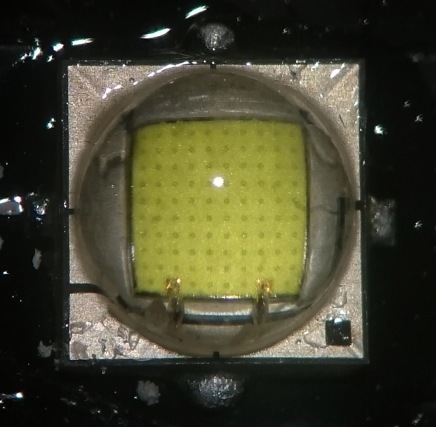 One thing I seem to notice is that the led has a large tint shift going from low to high current, the good tint only happens at highest modes when the BLF driver mainly uses the FET. 7.5 Amperes seems to be sweet for this thing, at only 3.6 Volts. ! That’s 27 Watts, but ‘just’ a bit under 2300 Lumen. 2000 lumen at around 20.5 Watts though. Happy to hear the tint looks decent. I have one coming with my next order, got it just to play with, but I’m quickly thinking of uses. Thanks for the most excellent analysis.